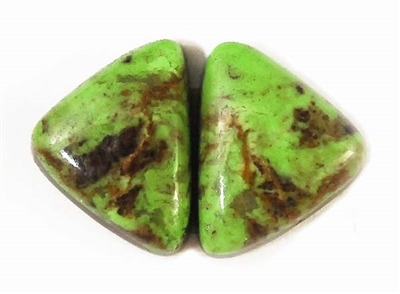 These beautiful Gaspeite cabs measures 9.6mm x 12.5mm x 3.6mm thickness. The WEIGHT is 7.5 carats. This is Natural material and has not been treated or dyed.